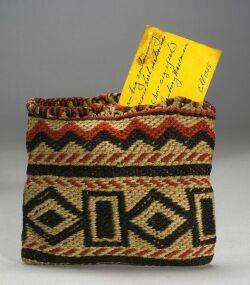 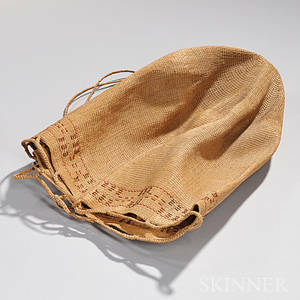 Miniature stoneware crock, 19th c.
Menominee woven yarn bag, ca. 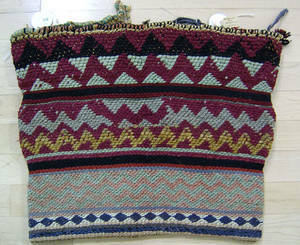 1930, 18" h., together with a plains sitting blanket, 38 1/2" x 51". 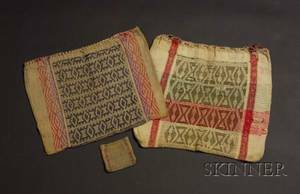 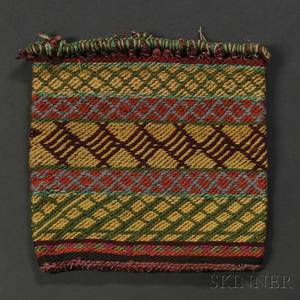 Great Lakes beaded cloth bandolier bag, 19th c.